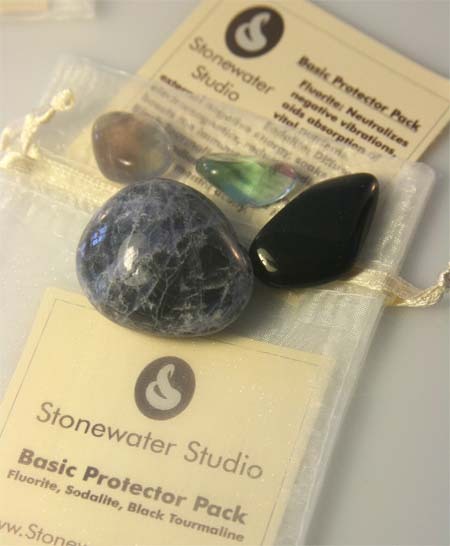 The Super Protector Pack combines the healing and balancing benefits of a variety of gemstones. Amethyst purifies and is regenerative; Fluorite neutralizes negative vibrations and aids absorption of vital nutrients; Sodalite diffuses external negative energy, reduces radiation and boosts the immune system; Black Tourmaline repels negativity and deflects radiation, increases physical vitality and mental acuity; Crystal Quartz amplifies the other stones. All the gemstones are cleansed (of any foreign energies) and charged in full sunlight. 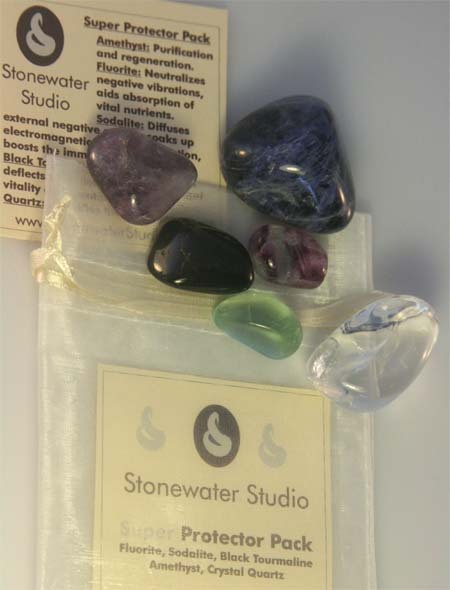 Comes packaged in a handy pouch with details about the gemstones. Great to carry while traveling or keep at your office desk for protection from the electromagnetic smog and other work-related negative energies; or keep at your bedside for balancing at night while you sleep! Email or phone consultation with Peggy Sealfon to determine what special gemstones will work for your personal issues or conditions.. A custom pouch will then be created and shipped to you, including descriptive card for each gemstone. 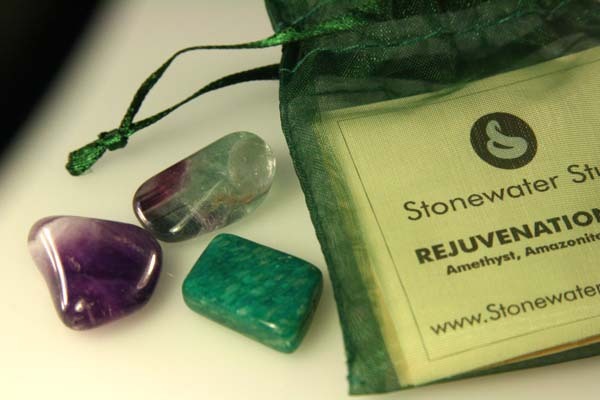 The Rejuvenation Pack combines several gemstones that encourage cell regeneration and detoxification of the system. These gemstones restore balance and fortify the immune system. 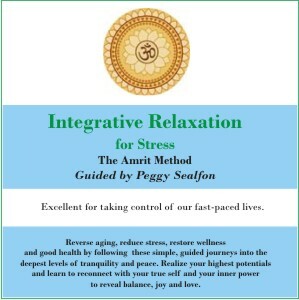 This Integrative Relaxation FOR STRESS CD by Peggy Sealfon guides you into the most powerful method for self-healing, de-stressing and balancing. It is based on the teachings of world renowned Yogi Amrit Desai whose methodology takes you into the deepest space for restoration, rejuvenation and well being.